I recently ran out of ports on my HP V1910-24G switch, so I purchased a Cisco SG300-52 switch to add capacity, try something new, and test the waters on a multi-vendor lab build out. After a half day of fiddling with the equipment, I’ve got it all installed and in production. Additionally, I took the time to swap out a white box running Untangle 10 and inserted my Meraki MX60W into the mix as the primary, production security appliance. This post will detail the steps to get a new switch added to the stack and migrate in a new security appliance. I waffled a bit on how to connect the two switches. Normally I’d shoot for L3 to avoid any spanning tree goofiness, but that invited all sorts of caveats that are unique to a home lab (such as the broadcast domain for my Plex virtual machine). I ultimately created a simple design for a L2 trunk to connect the switches together, thus extending VLANs into the Cisco switch and keeping L3 SVIs on the HP. This design had the least impact on current state. To do this, I mapped out 4 ports that would be used as a port channel between the switches. 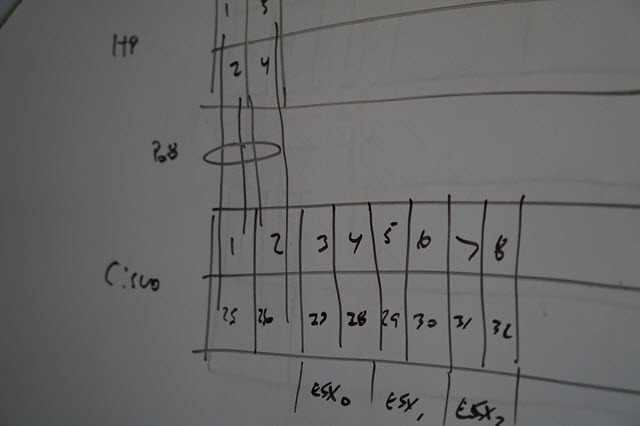 I used my whiteboard, especially important as the numbering schemes between the two vendors do not match. HP numbers from left to right, while Cisco numbers from top to bottom. This isn’t a normal Cisco numbering scheme, but is reality for the SG300 line. 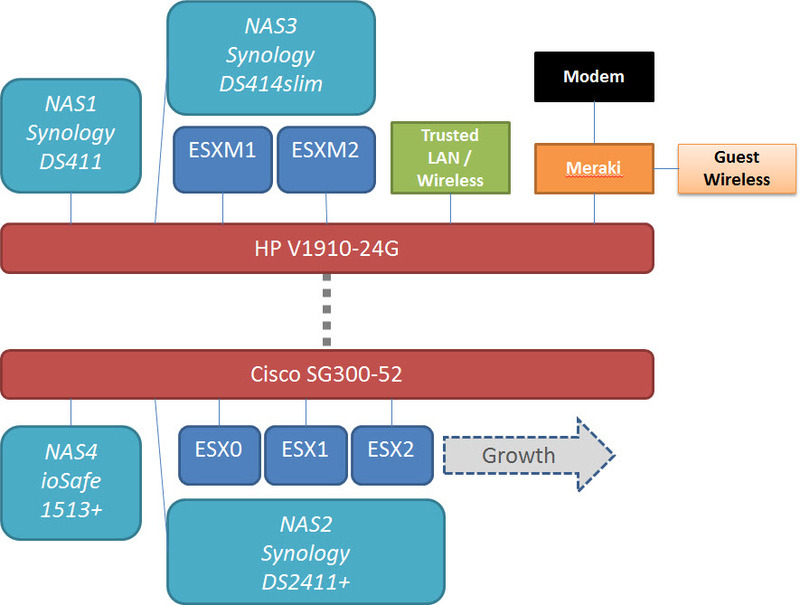 Thus, HP ports 1-4 would connect to Cisco ports 1-2,25-26. I tried to first use LACP, but the HP complained that the ports were not configured properly. So, I used a static “mode on” EtherChannel instead. In this particular use case, it’s not a huge deal: I have a static number of VLANs and I don’t see the trunk between the switches being modified with any frequency. 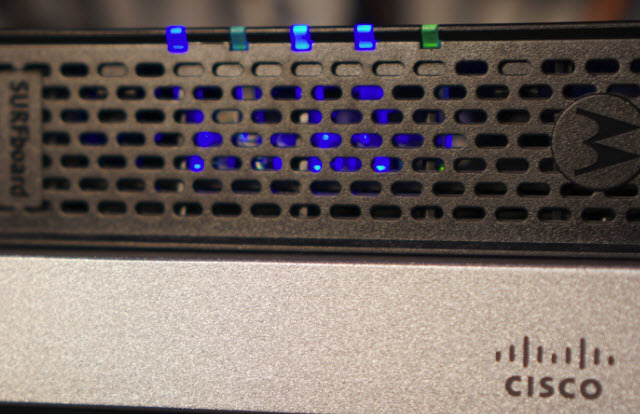 The SG300-52 is limited to 8 port channels, so I used Po8 on both the HP and Cisco for consistency. I also placed an IP on VLAN 20 to provide L3 management connectivity to the switch. Finally, I set the spanning tree priority to max to avoid becoming the root bridge. At this point, I connected my trunk cables between the two switches and made sure that I could hit the SVI on the HP switch. I’m using 2 cables for now, but have more on order. I want most of the traffic to be local to a switch, with little traffic needing to use the switch-to-switch trunk. I separated out the network into two distinct zones: a top zone of management and home resources, and a bottom zone of lab resources. Host network migration was rather simple because I have all networks dual connected. 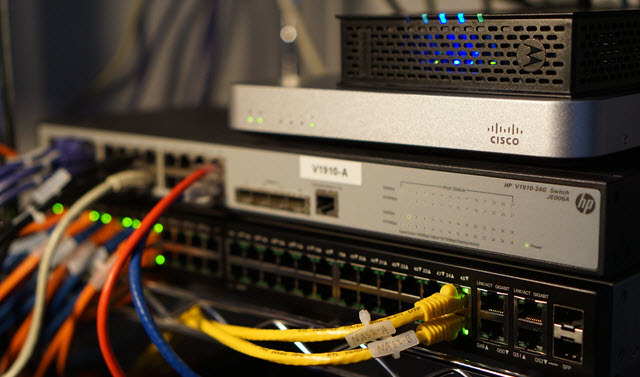 Once I made sure the Cisco ports were properly configured for the VLANs I needed, it was just a matter of walking one link over to the Cisco switch at a time. I’m a bit of label and color code freak, which made the migration incredibly simple. Blue are IP Storage connections, orange are general LAN connections. The labels are also lettered, which tells me which network port is being moved (A is the first port on the server, B is the second, and so on). The letters match the bus discovery order, too. Looking for these ties? 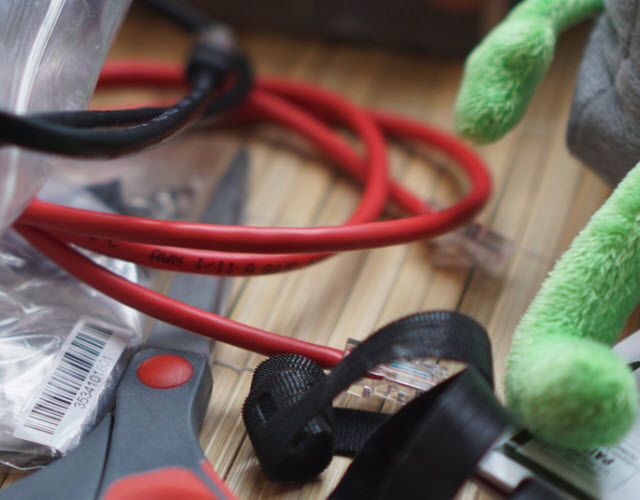 They are called Marker Cable Ties and are sold in 100 unit packs for cheap! Core2#sh run int ge5 interface gigabitethernet5 description ESX1 spanning-tree portfast switchport trunk allowed vlan add 10,20,30,40,50,60 ! I also cleaned up the management host connections on the HP switch by moving them over to the left. 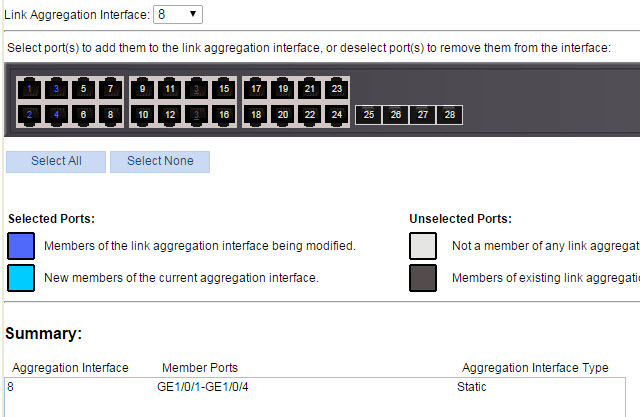 I kept a bank of 4 empty ports near ESXM1 because I plan to procure ESXM2 (a second management host) very soon. With that completed, there really wasn’t much left on the HP switch anymore. The final order of business was swapping out an Untangle appliance for a Meraki MX60W, which I unboxed in this video. Since I have very few firewall and port forward rules configured, this wasn’t all that bad. The first order of business was to define the VLANs and routes. Although the “use a single VLAN” method would work for a simple L3 network, I wanted to move my VLAN 15 for guest wireless up to the Meraki and get it off my network. VLAN 99, my transit network, was configured to be identical to the Untangle configuration. Meaning the security appliance (Meraki) would be on 172.16.99.1 /29, while the HP SVI would be on 172.16.99.2 /29. I can have duplicate IPs for now because the Meraki is not yet inserted into the network. I also went and created static routes for my other networks to keep L3 switching on my HP, rather than trunking all of the networks directly into the Meraki. As a reminder, the only reason I have a route to the NFS network is for the Synology NAS arrays, which are auto-grabbing DSM updates and syncing data to Amazon Glacier. Once the configuration was saved and validated, I unplugged the Untangle box and changed the cabling over to the Meraki. I went ahead and rebooted my cable modem to ensure that it recognized a new device and would assign it an IP address via DHCP. 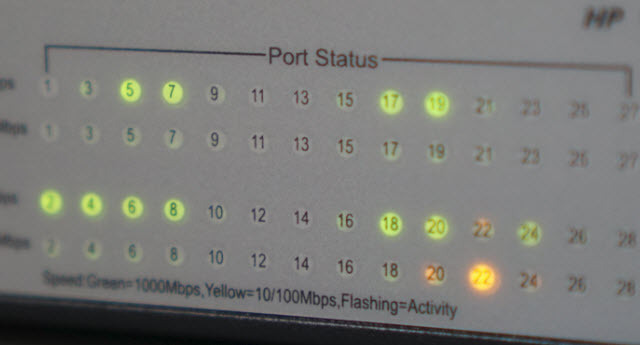 After a successful round of ping tests to ensure that I had end-to-end connectivity back to my loving Interwebs, I manually re-created the few firewall and port forward rules needed for various services and tested them, too. This was quite a fun brain puzzle, especially trying to move everything while it was running without accidentally breaking connectivity. My new network stack is much smaller. 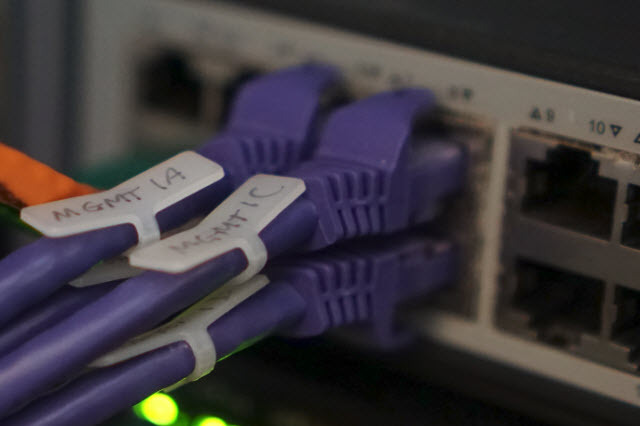 I’ve removed a little unmanaged switch that my workstation and IP phone were using and plugged those ports into my Linksys access point, which is discussed in this post. I’ve also pitched a small shuttle box that was running my Untangle appliance. Here is the full network stack in all of its glory. Plenty more ports to go! Because some equipment moved a little, I had to use temporary network cables. I’ll definitely be picking up new ones with the correct length and color in the future. My workbench is covered in odd colors and lengths of cable, along with ties that are no longer required. Great post. Are you going to miss the extra features that Untangle provided like ad-blocking, and virus-blocker? Those types of features aren’t included on the Meraki box are they? @Jason – Good question. The advanced security license on the Meraki does include many of those features (see https://docs.meraki.com/display/MX/Licensing), while also enabling a number of the paid features of the Untangle appliance. The Meraki is definitely more expensive if you don’t plan to use any paid Untangle features (about $275/yr for the advanced license), but if you look at the cost of a la carte Untangle features (IPsec VPN is $270/yr by itself), the Meraki was cheaper for me. I’ve always had the ad block feature disabled – it was a constant pain to keep updated, and tended to piss off Hulu. Plus, I like giving ad revenue to sites I frequent in the form of ads. Chris, this may not be the right forum for this but I’m pulling lab ideas from several threads on your (great) site. I have a need to have two separate network segments with DHCP provided on each (via wireless routers). Is there a way to force one of those segments (guest wireless) to not serve DHCP requests outside that segment? I ask here mostly because I have the HP 1910 layer 3 switch connected to both, hoped there was a way to use that rather than putting up a separate firewall server. @Dan – Not quite sure what you’re asking. DHCP is (by default) not available outside of the L2 segment it’s being advertised on because it’s only interested in MAC addresses. The only way to extend DHCP to additional L2 segments is via relay/helper constructs. In my case, I use a Linksys (internal devices) and Meraki (guests). DHCP is relayed via the HP V1910 to other internal segments. The Meraki handles its own DHCP for guests. Chris, I think my true issue is getting the layer 3 functions on my v1910 working as expected. When I try to configure an access port allowing only vlan x traffic, the switch changes it to a hybrid port. The switch only lets me use a pvlan while keeping it an access port. Once I figure out what I’m doing wrong there then I expect the other issues I’m having to go away. That’s the hope anyway! @Dan – The HP web interface is a bit weird. To change a port to an access port, go to Network > VLAN > Modify Port and then select the port(s) to change. First, select the Link Type radio button and choose Access, then apply that change. Then select the port(s) again and select the PVID radio button, enter the native VLAN ID, and click apply. That did the trick, thanks! I’ll admit I still have much to learn on the network side, the whole point of doing this. But I was putting too much focus on the VLAN rather than the PVID in this case. Now to solve some routing issues and I should be good to go. Chris, thanks again for your tips and guides here. I’ve been following you for some time. I have almost the identical setup 2 of the same Lian cases with same internals, v1910, except i use 2 Qnap devices for storage one with SSD’s the other Ent disks, i also had a Fortinet for my FW, but went back to my Atom Pfsense box, which runs faster. My only question is how you have your NFS shares setup, i currently have on each ESXI host like yours 2 dedicated nics on each on Vlan 10 for storage, i also have 2 of the nics on the QNAP on vlan 10, i have setup all my ports on my v1910 to tag on all my vlans 10, 172 , and default (1). But can never get the setup to work just right, Perhaps you can share how yours is setup and what kinds of speeds your getting. BTW my Fortinet, but now my PfSense does the routing. 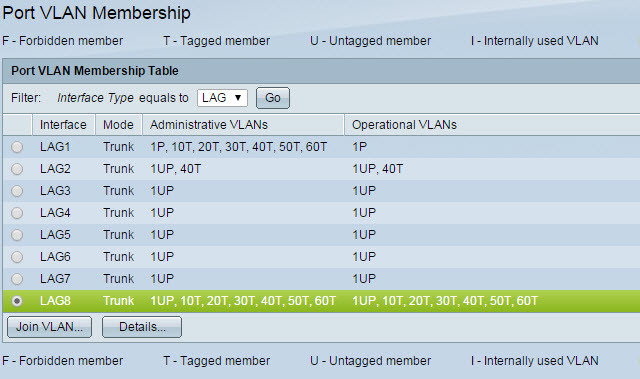 Each Synology array is configured with one NFS volume and is attached to the network via an LACP port channel on a tagged VLAN (40). 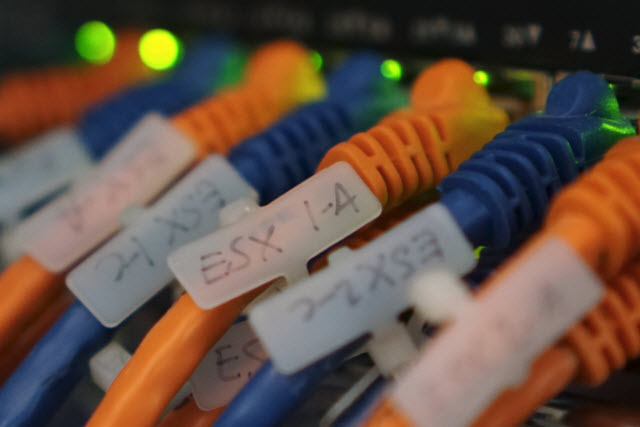 Each ESXi host has 2x 1 GbE NICs dedicated to the tagged VLAN (40), but do not use port channels. The second link is there for redundancy, not bandwidth (until vSphere supports NFS 4.1, specifically session trunking). That’s about it, really.